After spending time photographing a glorious lake right on the edge of the Rockies west of Calgary, I was walking back to the van when I came upon this pair of great blanket flowers in mid-bloom. A telephoto lens and a very shallow depth of field were important to keep the background firmly out focus so it could gently complement the brilliant yellow, rather than compete with it. 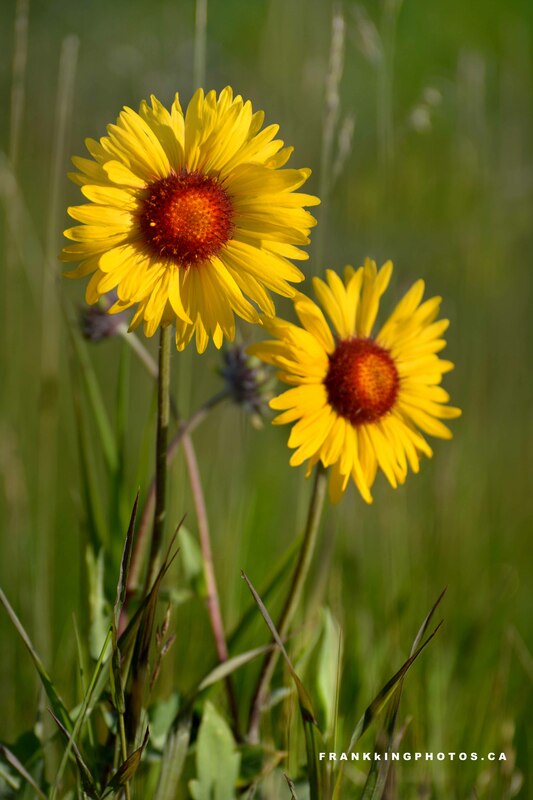 According to Wikipedia, the proper name for this flower (which is part of the sunflower family) is Gaillardia, named for an 18th-century French magistrate who was a patron of botany. Nikon D7100, 70-300 mm. zoom lens, tripod, polarizing filter.